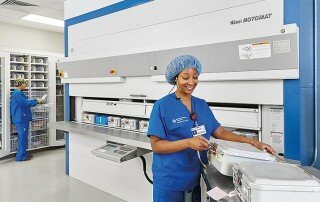 The storage requirements in the healthcare sector is vast. 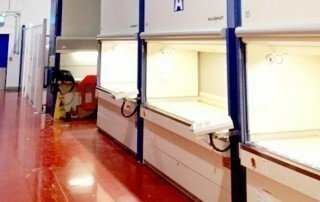 Research and development departments need a protective environment for storing sterile equipment, with the administration teams needing to store numerous archives and patient records precisely. 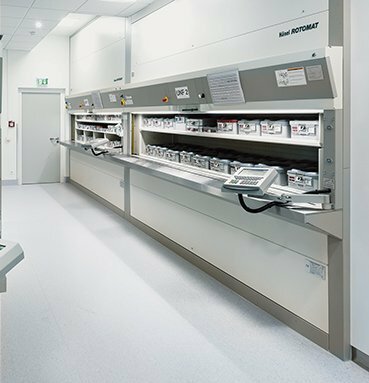 In our experience, departments can span several floors in a building and yet require access to the same instruments and drugs located in one central place. This results in staff having to walk some distance to access the equipment they need quickly. With Hänel automated solutions these inefficiencies are eliminated thanks to dual access points in the front and back or at the bottom and top of the machine. 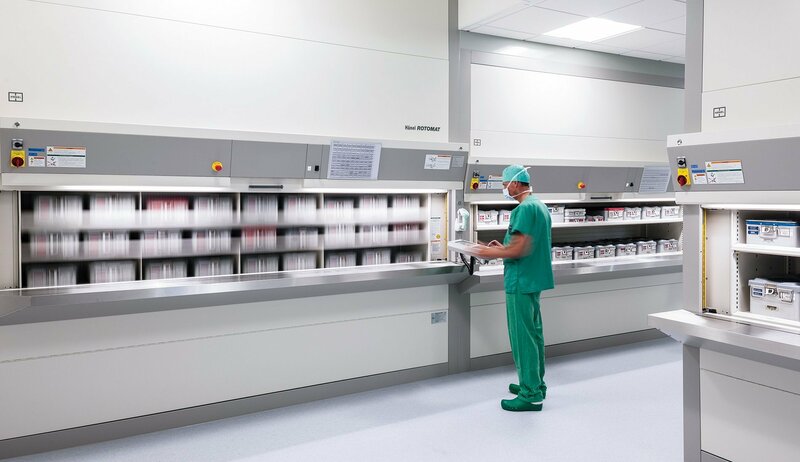 Hänel machinery has proved extremely popular in numerous companies involved or within the healthcare industry throughout the UK and Ireland, including Boston Scientific, Siemens Healthcare Diagnostics, NHS Wales and MSD Ireland. I would certainly recommend Hänel automated storage systems with Industore. 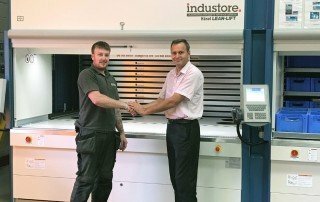 Firstly, the reliability we have experienced with Hänel equipment has been first class, and secondly working with Industore through the different phases of deployment at our site has been seamless. Due to the benefits gained as a result of these modern systems at Galway, we have incorporated at least a further 10 machines at another 2 of our sites here in Ireland. My advice to others looking into options for improving their facility is to go and see the machines in action – you’ll be impressed!